Google Pay, “Won’t Fix (Intended Behavior)”: Replay attack. Interested in Reverse Engineering, Embedded Prototypes and #Payment Systems | Co-founder of @womenintechfund. NFC(Near Field Communication) protocol is the technology that Google Pay integrated to make digital payments. By default, the protocol has different layers of security to avoid or protect its customers against replay or downgrade attacks. However, the actual implementation of Google Pay does not apply this countermeasure. When a person wants to make a NFC transaction with Google Pay, an attacker could intercept the NFC transaction. The malicious user can manipulate the intercepted transaction in different location and with different hardware as well. So, that intercepted transaction could be saved and replay it later with another device to make a payment, spending the money from the original Google Pay customer. Each Google Pay transaction is unique. Meaning that every token id is unique as well. If a transaction is not completed in a real PoS or terminal, the token id will keep increasing anyway. Important: If a token is not used in a real transaction, that token could be used later because it is not expired or disposed which means a malicious user could implement it with another device such as NFCopy. The Application Interchange Profile(82) is in charge to state which level of security the NFC transaction will be implemented to validate a transaction. Basically, the AIP is a tag in the APDU communication which tells the PoS what kind of security the mobile device supports in NFC transaction. This type of information is generated in the communication process between Google Pay and the PoS using APDUs. If an attacker intercepts a Google Pay transaction, he/she could be able to use a third-party application such as SwipeYours from Google Play store to generate a mag-stripe mode transaction. This Android app will generate a mag-stripe transaction(Visa MSD) by changing the AIP values in the NFC connection with the minimum level of security. Because the intercepted Google Pay token implements a cloud-validated cryptogram and the EMV system accepts this type of data, the transaction can go through using this mechanism. How difficult is to design and make a tool that intercepted a Google Pay transaction and replay it? A malicious user can program an Arduino and a PN532 board to read the transaction and then emulate it in the terminal. The cost of this device is less than 10 dollars. This issue in the payment network might affect different NFC wallets from different banks if they are applying the “Intended Behavior” methodology, and even worse, this could affect different countries as well. 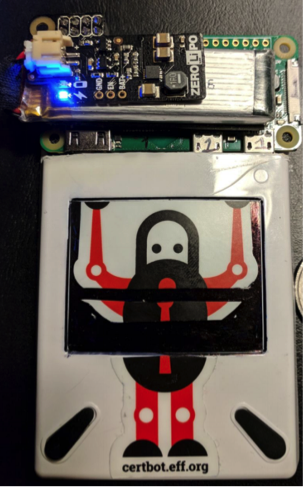 In this PoC, I am running a Raspberry Pi Zero W with an Acr122u NFC reader which also works as emulator to behave as smart card after a Google Pay token is intercepted. 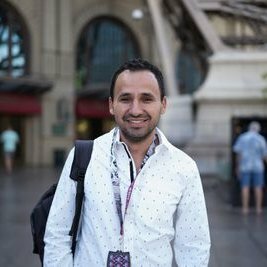 Este articulo fue escrito el día 24 julio, 2018, archivado en la categoría Articulos , si deseas dejar un comentario es bienvenido.